Stelvio captures crossover of the year award at show. Alfa Romeo rolled out its Nero Edition appearance package for the Giulia and Stelvio at NYIAS. 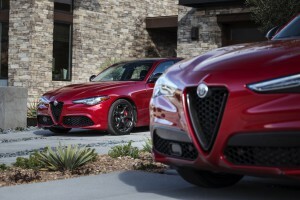 Alfa Romeo continues to grow its presence in North America carefully and patiently with the Giulia and Stelvio models, particularly the Quadrifoglio versions, looking to endear itself to mavens past and future. However, this calculated rollout of product occasionally needs a little boost to remind folks that Alfa is around and viable. To that end, the brand rolled out its Nero Edizione package for both vehicles at the New York International Auto Show. The appearance package adds a sporty element to the Giulia and Stelvio models equipped with the 2.0-liter turbocharged, 280 horsepower power plants. 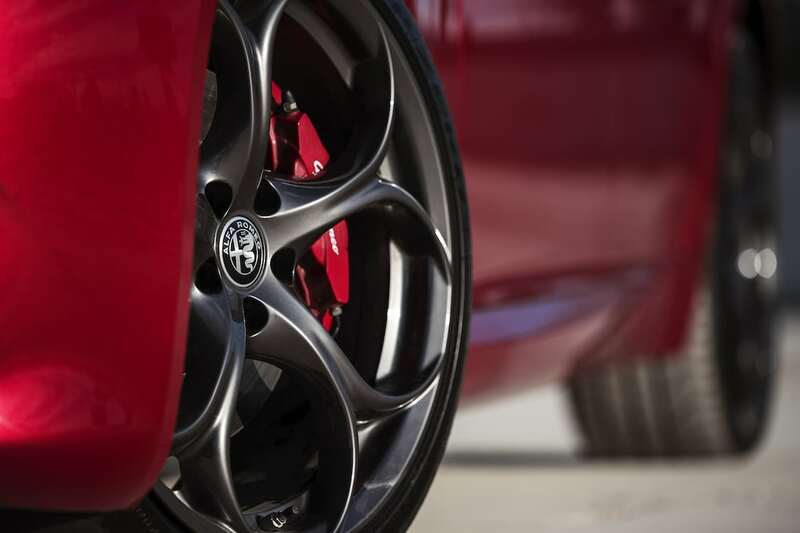 As part of the Nero Edizione package, the Giulia and Stelvio get specialized back wheels. The sporty appearance add-ons also include: Dark Miron rear skid plate (Stelvio specific); Gloss Black roof rails (Stelvio specific); Gloss Black window surrounds; Monotone wheel caps with Alfa Romeo logo; and Dark Miron exterior badging. The Stelvio, Alfa’s first-ever SUV, also was named 2018 Crossover of the Year in Popular Mechanics’ Automotive Excellence Awards at the show. “The Stelvio is the Giulia of crossovers, and that’s about the highest praise we can give it. It’s got muscle, even in four-cylinder guise, but it’s also one of those cars that’s fun to drive at any speed, because of the way it feels,” said Ezra Dyer, Automotive Editor at Popular Mechanics. The Stelvio, as well as its sibling, Giulia, features best-in-class horsepower, 0 to 60 mph, top speed, power- to-weight ratio, and near perfect 50/50 weight distribution in addition to unmistakable Italian styling. This entry was posted on Wednesday, March 28th, 2018 at and is filed under Advertising, Alfa Romeo, Auto Shows, Automobiles, Business, Luxury Vehicles, Markets, New York, SUVs, Sales, U.S./North America. You can follow any responses to this entry through the RSS 2.0 feed. Both comments and pings are currently closed.